The freestanding VKR challenges you to use your own bodyweight to efficiently power your way through gut-slimming routines and muscle-defining exercises. Whether you're focused on tightening your abs and obliques or concentrating on a chiseled look accomplished through pull-ups, chin-ups, push-ups and dips, there's nothing like shaping and toning your physique in the comfort and privacy of your own home. Order your Body-Solid Best Fitness Vertical Knee Raise from FitnessZone.com today! 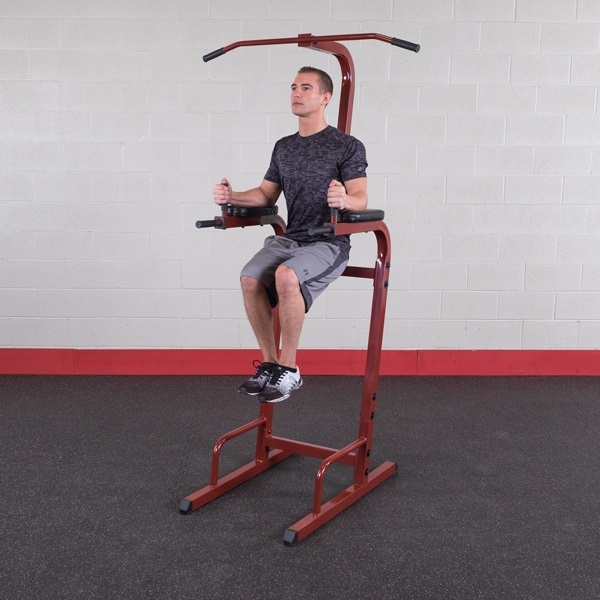 Order your Body-Solid Best Fitness Vertical Knee Raise from FitnessZone.com today!